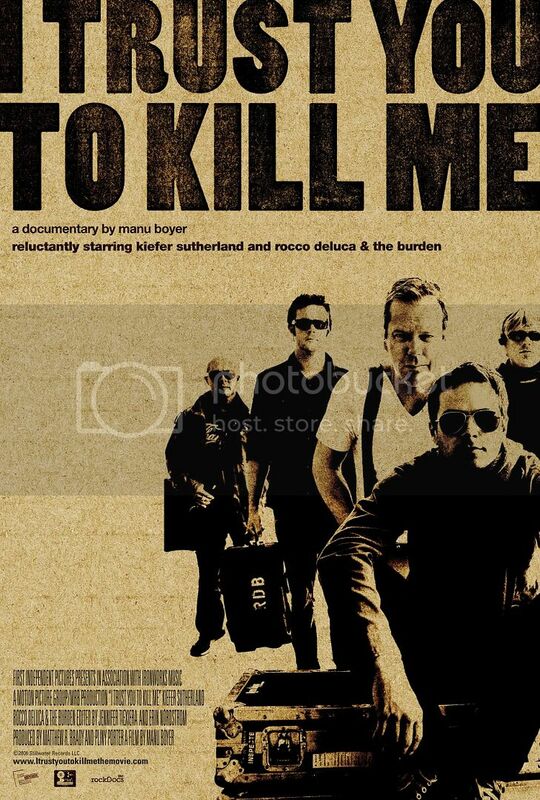 "Kiefer Sutherland, star of the hit TV show “24” takes his indie record label act, Rocco DeLuca & the Burden on their first international tour. From Los Angeles, London, Dublin, Reykjavik and Berlin, this rockumentary film chronicles a highly personal journey of a rock band & their less than qualified road manager (Kiefer Sutherland) and shows the hopes, successes and disappointments of a band trying to get their music to their audience. Oh man !! I'm again laying on the floor laughing - what a crazy idea - but what is the bunny doing behind the camera ?? - as I remember - he was in front of the camera.